ZAMBOANGA SIBUGAY (Mindanao Examiner / Oct. 14, 2011) - The Upsilon Phi Sigma Fraternity and Sorority will be holding its 4th National Convention on October 21-23 at the Philtown Hotel in Cagayan de Oro City in northern Mindanao with the theme, “Upsilon Phi Sigma Charting Pro-active responses in mitigating the effect of Climate Change”. To be hosted by the Cagayan de Oro City Council, this triennial national event will be attended by around 300 Upsilonians representing the collegiate members from different chapters as well as alumni members from various councils around the globe. Rutherford Ondin, convention chairman, said this year’s UPS national gathering will serve as an opportunity for the participants to experience a lifetime fun and camaraderie as they will renew old acquaintances, rekindle old memories and relive the Upsilonian spirit. Various important topics will also be brought for discussion for organizational development and member’s upliftment, Ondin said. The three-day convention will kick off with a motorcade around the city, a tree-planting activity, and to be followed with the opening program with former Senator Juan Miguel Zubiri, who is an honorary member, as guest of honor. Also awaiting for the participants of this year’s convention is the UPS Fun Shoot Competition which shall be held on the last day of the national event. The host council will also provide a city tour, including white water rafting. And for the first time in the history of UPS National Convention, the song “Forever Upsilon, Forever Yours”, will also be played as this year’s convention jingle. Archie Dairocas, an Upsilonian, is the arranger, producer and singer of the song. He was the one who composed and sang the 2011 Palarong Pambansa official song. 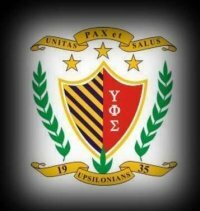 The Upsilon Phi Sigma Inter-University and Collegiate Honor and Excellence Fraternity and Sorority was founded in 1935 and considered as one of the oldest Greek organizations in Asia and committed for the lifetime development of its individual members. It inculcates the lasting brotherhood and sisterhood in the spirit of Unity, Peace and Prosperity for All. Through the years, the organization develops its members the qualities of good leadership and self-confidence among other important values, with focus on organizational loyalty.